At South Coast Towing, we pride ourselves on being your most reliable towing option on the South Coast. We know how much car trouble can ruin your day or week. We strive to take as much of the stress out of the situation for you as possible. If your car won’t start in New Bedford, or anywhere in our service area, just give us a call or click the request a tow button and a driver will be right there to assist you. 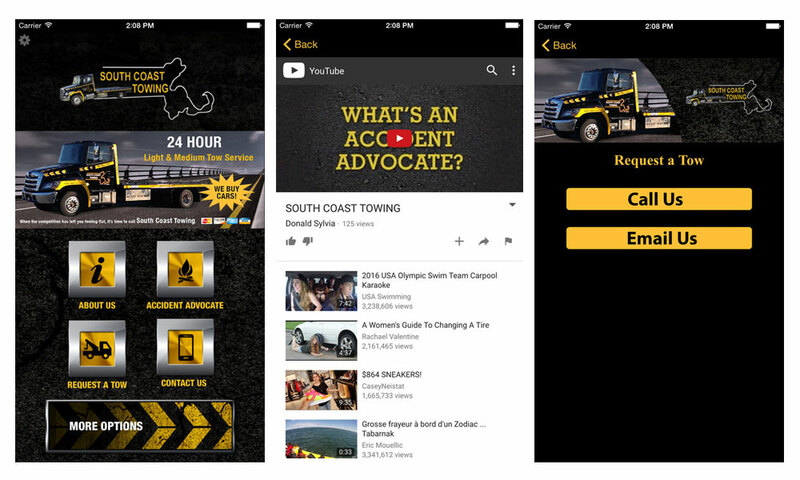 The South Coast Towing mobile app enhances the company’s trusted towing services and provides a whole lot more. On this app, you can call for quick roadside assistance, towing services, start your claim process leading to a repair, rental or auto sales. South Coast Towing is Now Hiring! Be part of a team that offers competitive wages and bonus driven incentives.